January Lightfoot and LunAr Bailey invite you to take part with them at a real virtual exhibition! 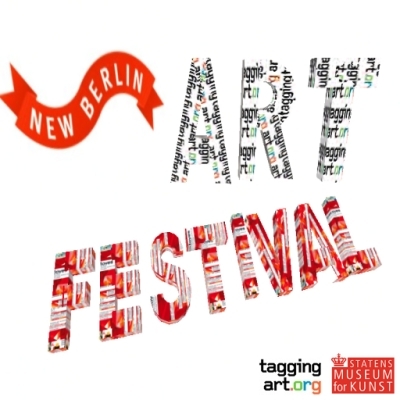 On February 15th the "newBERLIN ART FESTIVAL" will take place in newBERLIN. At this event all artist can show there work, both at the Cubix, which already servers as a gallery, and in the public space. It's up to you what kind of stuff you show! No matter if it's made in reality or virtuality, we are looking forward to your contributions. 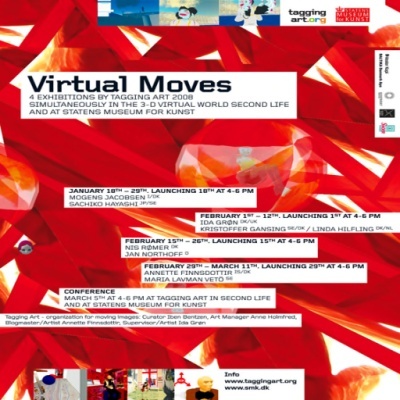 At the same time, at the Kopenhagen Statens Museum for Kunst (SMK) there is the exhibition Virtual Moves going on, realized by taggingart.org and dealing with SL art. A lot of international artists join the Virtual Moves. Our art festival will be broadcasted to Kopenhagen in February, as our contribution. But our festival only can be big, if you all join and contribute your ideas! We want to use all the fridays up until the exhibition to work out a presentation and, eventually, further exhibits. Meetings will start at 8 pm at the newBERLIN SCHOOL . If you want to take part, just look for a space in newBERLIN, where you want to put your work. Ask LunAr Bailey for building-permission and just set-up your art from now on until february 14th at the latest. Peek hour for broadcasting to Denmark is on February 15th at from 4 to 6 pm. You should be online and ready to answer questions during this time!! We hope you join and we can spin a big art-net, have a wonderful day and get to know further aspects of art!